ALL good things come to an end . . . like Oldham’s eight-match winning streak on a baking hot Sunday afternoon in south Leeds. 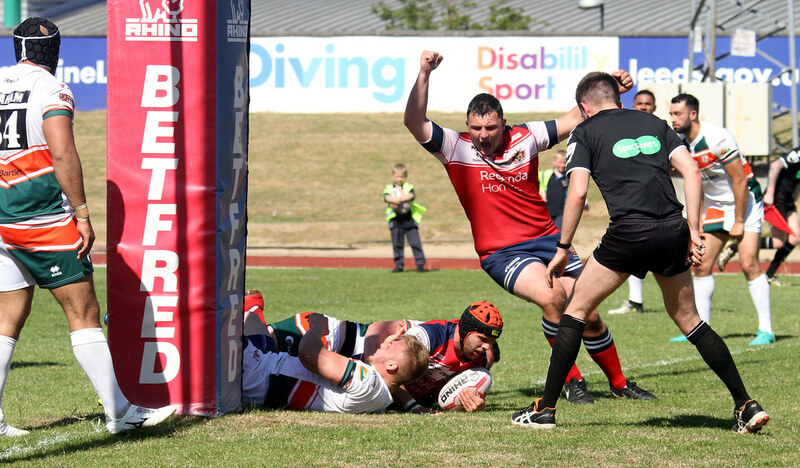 Hunslet, the last side to beat Roughyeds when they won 24-16 at the Vestacare Stadium at the beginning of April, completed a Betfred League 1 double with a 16-12 triumph on a brown, dry, arid pitch at the South Leeds Stadium. Oldham’s troubles began in midweek when in-form Danny Langtree pulled a hamstring in training and was forced to miss his first game of the season. Ten minutes in, his second-row strike partner Danny Bridge damaged a knee and was forced to remain in the dressing room at half-time. Also in the first half, Phil Joy departed after about 20 minutes with a rib cartilage injury, leaving a heavily depleted bench on a scorching hot day when the strategic use of replacements was essential. Oldham were thus severely handicapped in that department — not an excuse, a statement of fact. Excuses were not necessary. Oldham created enough chances to win reasonably comfortably, but one certain try was rubbed out for a final forward pass; another was disallowed because Lee Kershaw dropped the ball in the act of scoring; and we went agonisingly close when Matt Reid stretched at speed to gather a Dave Hewitt grubber with the line open but couldn’t quite pull it in. It was a rough, tough game with both sides put on team warnings at different times and Hunslet centre Nathan Chappell placed on report for his part in a tackle in which Luke Hooley was upended. In the absence of Langtree and, in the second half, Bridge and Joy, the Roughyeds middle unit worked tirelessly in the face of great adversity. Jack Spencer, Craig Briscoe, Liam Bent, Luke Nelmes and Adam Jones didn’t deserve to be on the losing side. Unfortunately, the halves and three-quarters didn’t execute clinically with the result that numerous half chances were thrown away, mainly when high balls failed to find the winger and soared directly into touch. Oldham were full value for their 12-6 interval lead thanks to tries by Luke Hooley, after good work by Paul Crook and Zack McComb, and b y Matty Wilkinson, direct from dummy half. Crook failed to convert the Hooley try from wide out, but after Hunslet had taken the lead with a Zach Braham try and Joe Sanderson’s goal, he levelled with a penalty. There were only a couple of minutes left of the first half when Wilkinson scored from behind a play-the-ball after a tackle-busting break by Reid. 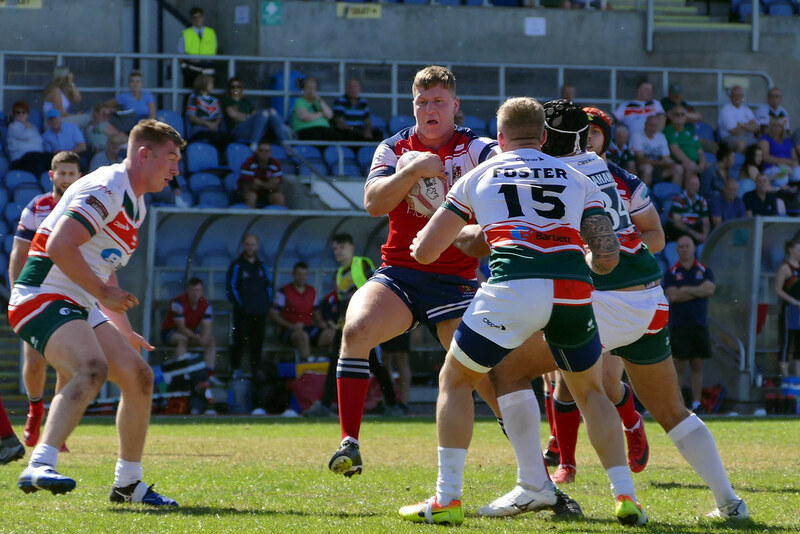 Crook added the goal and all was set fair for another 40 minutes of Roughyeds dominance . . . or so we thought ! Alas, the second half was one disaster after another with missed opportunities, handling errors and generally poor execution near the Hunslet line. We didn’t even capitalise when Hunslet’s Daniel Halmshaw was sin-binned. The closest we came was when Kershaw went low for the corner and looked a certain scorer only to lose his grip on the ball as he touched down. We then went through a particularly-sloppy period, low-lighted when Hooley was penalised in possession for not playing the ball properly, this leading directly in the next set to a Hunslet try by Mufaro Mvududu, which Sanderson goaled from out near touch. At 12-12 it was anybody’s game and there followed a period of heavy Hunslet pressure, sparked by Sanderson’s 40-20 and then a grubber which forced Oldham to drop out from under their posts. 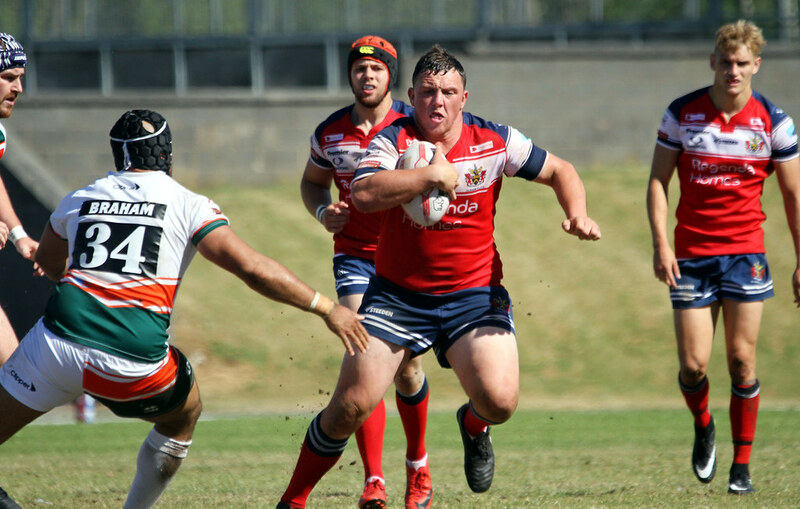 Southernwood then kicked wide with a drop goal attempt before Oldham went close at the other end when Reid narrowly failed to gather in Hewitt’s low cross-kick. The defining moment was to follow soon afterwards. Chappell was placed on report for upending Hooley, but at the first tackle after the tap Reid lost possession and Hunslet capitalised smartly with a searing break by prop Braham and Southernwood’s subsequent try. With ten minutes left in which to rescue the game, Roughyeds threw everything at the home defence without getting over the line. 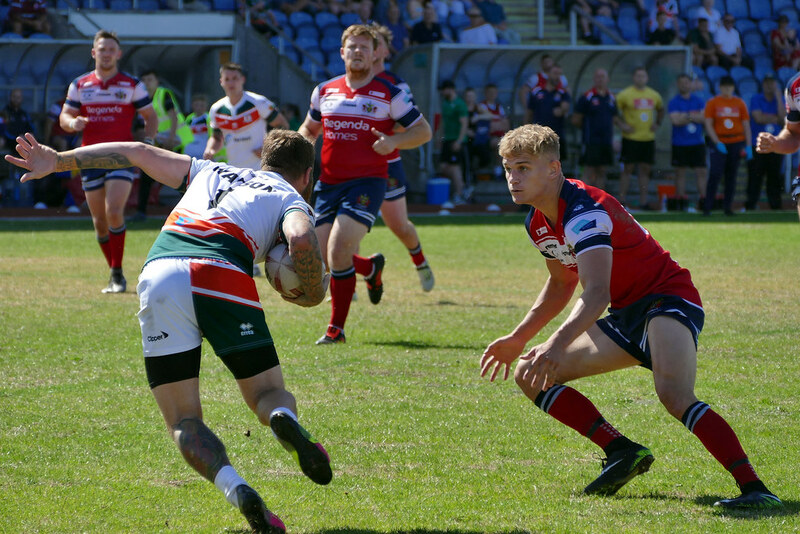 Nelmes was held up over the line; a Hooley grubber forced a drop out; but the final execution wasn’t good enough and Hunslet hung on for the win. Oldham — tries, Hooley, Wilkinson goals, Crook (2). Hunslet: Watson; Foggin-Johnston, Chappell. Mvududu, Ashton; Sanderson, Southernwood; Reed, Lee, Nicholson, Jordan-Roberts, Foster, Mackay. Subs: Halmshaw, Braham, Coventry, Flynn. Oldham: Hooley, West, McComb, Reid, Kershaw; Crook, Hewitt, Joy, Owen, Spencer, Bridge, Briscoe, Bent. Subs: Nelmes, Wilkinson, Jones, Rasool. Ref: Marcus Griffiths; Att: 605.